A racing game dedicated to rallying cars, branded with the name of the famous Colin McRae. Although the production shares the title with the first installment of the Colin McRae Rally cycle, it is based on the content and continuation technology called Colin McRae Rally 2.0. Colin McRae Rally is a racing game developed by Codemasters Software. 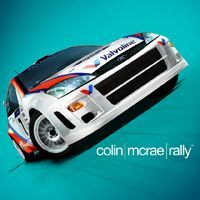 The production named after the famous Colin McRae is an attempt to refresh this popular cycle - although it shares the title with its first installment, it was built based on content and continuation technology, i.e. Colin McRae Rally 2.0. W Colin McRae Rally we have at our disposal four cars unlocked as we progress in the championship mode, i.e. Subaru Impreza, Ford Focus, Mitsubishi Lancer Evo VI and Lancia Stratos. Sitting behind the wheel of one of them, we race in thirty special stages located in Australia, Greece and Costa Rica - their total length is about one hundred and thirty kilometers. Compared to the original, the authors have decided to simplify the driving model, which has become more skillful. On the game Colin McRae Rally consists of three variants of play. Players can take part in the above mentioned championships, test their skills in a fast rally or test their skills in a time trial and publish their achievements on the online record board. Colin McRae Rally has three-dimensional graphics of average quality. Although it looks similar to the original, it offers, among other things, slightly more detailed car models. It is worth mentioning that Nicky Grist, Colin McRae's long-standing companion, played the role of a pilot.